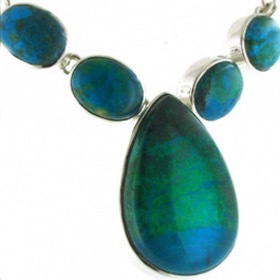 Chrysocolla jewellery suits most complexions with its gorgeous combination of emerald green, turquoise, lime and bronze. 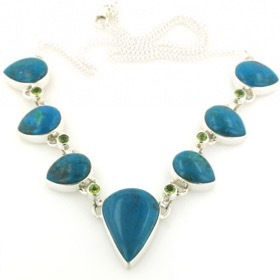 Chrysocolla is a relatively soft semi-precious gemstone so all of our chrysocolla gemstone jewellery is polished and sealed to give strenght and stability. 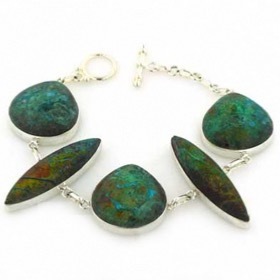 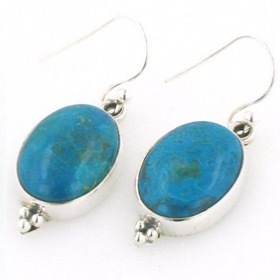 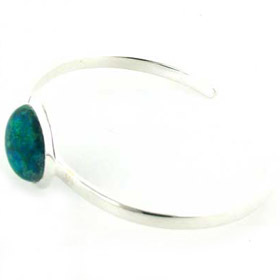 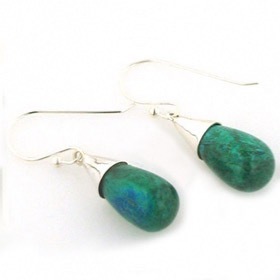 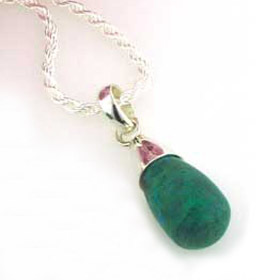 Our chrysocolla silver jewellery features natural, top quality gemstones. 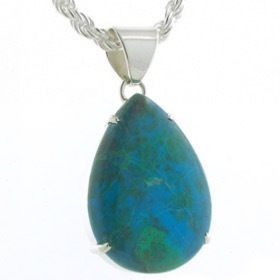 If you like the colour turquoise, see our turquoise jewellery, larimar jewellery and amazonite jewellery. 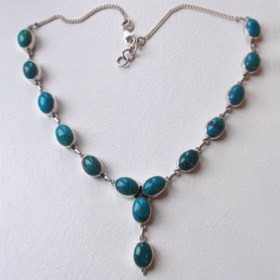 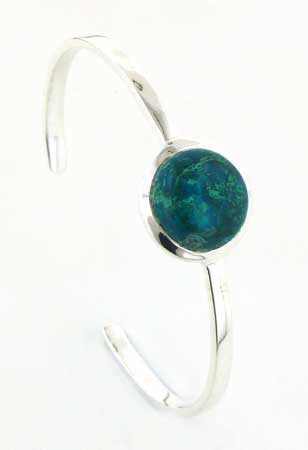 All our chrysocolla jewellery is set in sterling silver. 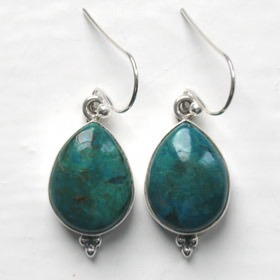 Chrysocolla tear drop earrings set in sterling silver.